Route #30 and Route #31 are relatively uncomplicated roads—unfortunately, you'll have to wander off the path to climb uphill. You'll be wandering through tall grass again, but it will help your Pokémon become strong—if you win. Routes 30 and 31 contain a variety of new Pokémon (especially if you are playing Crystal) so bring many Poké Balls. Bug-type Pokemon are plentiful here in all versions. Caterpie and Spinarak can be found on Gold while Weedle and Ledyba can be found on Silver. Unfortunately, the new families aren't that great, but you can still have some decent utility from Butterfree (can learn Sleep Powder and moves alike) and Beedrill (has a decent attack stat). Bellsprout may be weak at the first gym but it's decent and very useful if you didn't choose Chikorita as your starter. Also, try to catch an extra Bellsprout, not because they're that great, but because they can be used to trade for a very useful Onix in Violet City. Crystal players can get all of the previously mentioned Pokémon, plus three more! Gastly, Zubat and Poliwag can only be found at night and are somewhat rare but worth to catch. They can be found in other places more easily so don't worry if you don't find them here. When you return to Route #30 after completing your errand, trainers will attack you whenever you make eye contact. As you can see from their rosters below, their Pokémon are weak, but they can wear you down. You can try to avoid them, but it's better to fight when you can: they're the best source of money and EXP in the game. One new twist is the ability to trade phone numbers with certain trainers once you've defeated them in battle (they will have a phone icon next to their rewards). If you agree, they'll call you periodically to chat, challenge you to rematches, and most importantly, inform you of Pokémon "swarms". Without that info, it's hard to catch Pokémon like Dunsparce in the nearby Dark Cave. After you beat Wade along Route 31, give him your phone number. In Crystal, he'll call from time to time, and if you go visit him immediately afterward, he may give you one of a wide variety of Berries. A little later in the game, a guard in the guard house that separates Goldenrod City and Route #35 will send you to deliver a message to the guy in front of the lake, so remember where he is! Finishing this errand is the only way to get TM 50, Nightmare. Poliwag are very common in Crystal, appearing at night in several overworld routes. 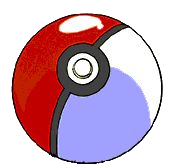 Poliwag isn't too impressive by itself, but if you evolve it into a Poliwhirl you can then use a Water Stone or trade it with a King's Rock to get a powerful Poliwrath or Politoed. But don't evolve it too early: Each of those forms can learn two exclusive moves, but none of them are anywhere near as good as the Hydro Pump that Poliwag and Poliwhirl would learn if you didn't evolve them until much later. Still, if you want a Fighting-type move for your Poliwrath (Submission), you will need to evolve it at least before level 35. Poliwag is very helpful in the fact that it can learn HMs: Surf, Whirlpool, Waterfall and evolutions Poliwhirl, Poliwrath, Politoed can learn Strength. This Bug Pokémon reaches its highest form, Bug/Flying Butterfree, at level 10. The speedy evolution is nice, and Butterfree is useful for a while after it learns Confusion at level 10. Early on it's still good since it has a mix of status moves and Confusion as a good damage dealing move, but after you find more Pokémon that can use status inducing moves it becomes obsolete. Like Caterpie, Weedle evolves into its final form at level 10. That Pokémon, Beedril, actually gets a handful of strong moves: Fury Attack at level 10, Twineedle, Pursuit, and Pin Missile later on. Beedrill is hardly the game's best Bug Pokémon, but it will hold you over until you get a Scyther. Beedrill is also the only Pokémon that can give Forretress Pin Missile (the only bug-type move that forretress can learn) by breeding. Spinarak is a nocturnal Pokémon with a good variety of Poison, Normal, Bug, Ghost, and Psychic attacks. One move exclusive to this Pokémon and its evolved form (Ariados at level 22) is Spider Web, a useful technique that prevents a Pokémon from running away. Unfortunately, it's still a mediocre Pokémon with poor stats in almost every category. Big news for Zubat fans: Gold/Silver/Crystal introduces a third evolution for this under-appreciated Poison/Flying-type. Crobat, who evolves from a very "tamed" Golbat, doesn't have any new moves, but it can learn Fly and is much quicker than Golbat. Crobat is actually the fastest Pokémon that can learn Mean Look, so if you're having trouble trying to catch an annoying Pokémon that likes to run, Crobat is your best choice. You'll have to wake up early to catch a Ledyba. Bug/Flying type Ledyba and its evolved form Ledian are primarily defensive Pokémon, learning moves like Reflect, Safeguard, and Light Screen. They do learn a few early attacks like Comet Punch, but their Attack is too low to put them to good use. Bellsprout and its evolved forms, Weepinbell, and Victreebel are still among the least useful Grass Pokémon, and their one new move (Sweet Scent) isn't worth much. But if you didn't pick a Chikorita as a starter, you may find Bellsprout to be temporarily useful. They start with Vine Whip, which is great against Rock and Ground-type Pokémon in the upcoming Union Cave. Bellsprout and its evolved forms can learn HMs: Cut and Flash which will soon be found. Gastly is a very useful Pokémon in Gold, Silver, and Crystal. It now starts with Hypnosis, and can learn four all new moves. One of the first is Mean Look, which prevents opponents from running away. Between that, Hypnosis and its Ghost-type resistance to Normal attacks, Gastly is the perfect Pokémon for catching other wild Pokémon. But you'll have to stay up late to catch one since they only come out at night. You will have to trade Haunter to another Pokémon game (and trade it back) if you want to evolve it to Gengar. This page was last edited on 12 March 2019, at 18:27. This page has been accessed 558,867 times.